At Autumn Woods we offer cardiac rehabilitation for individuals with heart disease, congestive heart failure or for those who are leaving the hospital after surgery or a heart attack. Our program is patient-focused, offering you a comprehensive, customized program for healing, exercise and education. 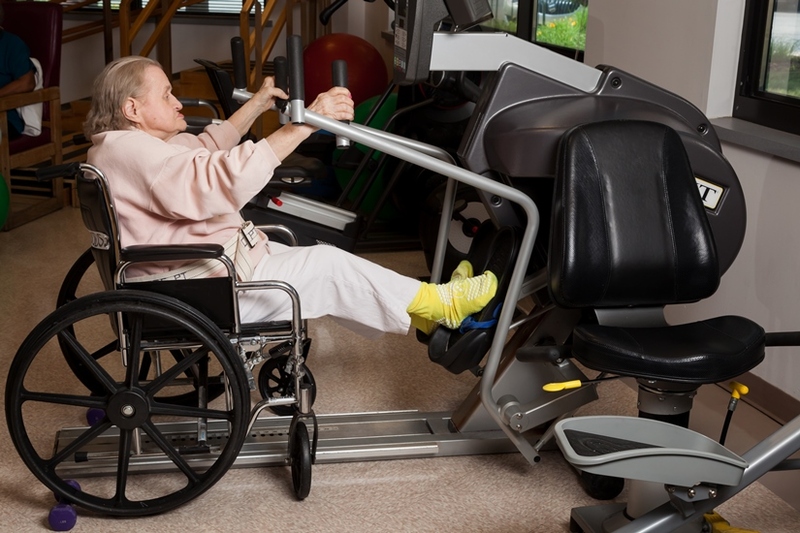 Our cardiac rehabilitation program is interdisciplinary, meaning we utilize a team of health care providers such as a physiatrist, physical therapist, counselor, nurses, dietitian and other medical staff to develop an individualized plan of care focused on maximizing your recovery and setting attainable goals. We will also train you in the use of adaptive equipment that will allow you to safely and easily navigate indoor and outdoor settings. One of the most important aspects of cardiac rehabilitation is setting long-term goals and exercise plans for healthy living. Our team will work with you to develop a realistic plan for eating healthy, controlling weight, lowering your blood pressure and cholesterol levels, eliminating bad habits, and managing stress. This will not only help increase your physical fitness, but also may reduce the risk of future heart problems and improve your overall health.